Heading into an upcoming season, it’s imperative for NFL organizations to have as much talent on the field as possible. Unfortunately, sometimes there’s only so much a team can control. And while injuries are hard to deal with — and extremely frustrating for all parties involved — there has to be nothing more infuriating then when teams have to enter the year with players suspended. After seeing an article from Business Insider — which used data provided by ProFootballTalk’s suspension tracker — we found out that 34 players will miss at least one game to start the 2015 season. That’s a crazy number. Equally interesting is the fact that that some of these individuals are pretty important to their teams. In fact, that was pretty much the cusp of the article — looking at the importance of players based on the length of their suspension. That’s one way of looking at it, sure, but we wanted to take things a bit further and see which suspended player was actually the most valuable to his franchise. We analyzied the impact of players on the offensive side of the ball to find out their true value, usingFootball Outsiders’s individual’s Defense-adjusted Yards Above Replacement (DYAR). By looking at the 2014 DYAR numbers of our suspended players — and seeing how they compared to others at their position — we were able to determine which suspensions would hurt their teams the most. For a more complicated explanation of DYAR you can click here. However, the fast explanation is that the number essential determines the total value of a player. With that in mind, here’s a look at the four biggest NFL suspensions of 2015. 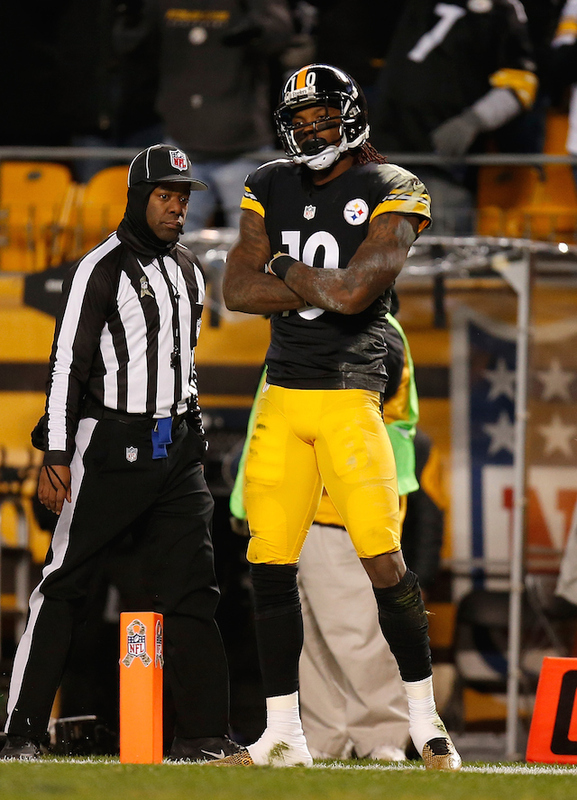 ESPN’s Adam Schefter reported on Thursday that Martavis Bryant is facing a four-game suspension for violating the league’s substance abuse policy. While the Pittsburgh Steelers are fortunate enough to have superstar receiver Antonio Brown — last year’s leader in receiving yards — that doesn’t mean the potential of losing Bryant for the beginning of the 2015 season isn’t going to sting. According to Football Outsiders’ numbers, even as a rookie, Bryant’s 2014 DYAR total of 137 was the highest among wide receivers who had between 10 and 49 passes thrown their way. Entering his second year in the league, the Steelers were hoping Bryant would be able to take the next step in his development. If he isn’t able to win his appeal, the organization may have to wait a little while longer. 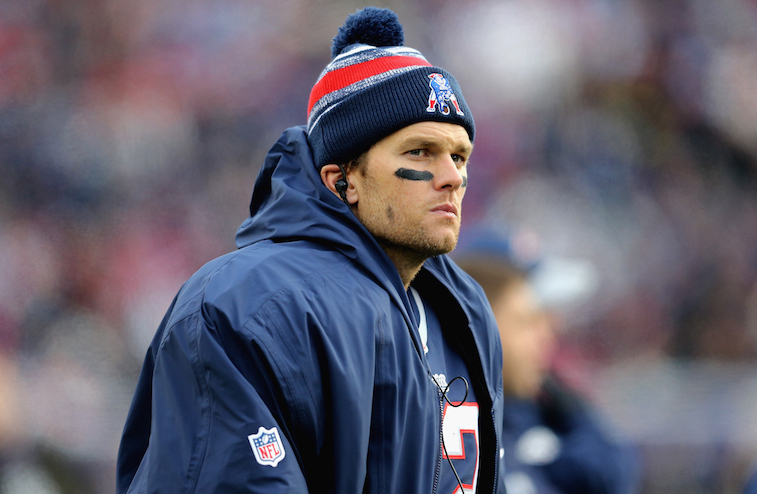 At this point, we can’t even begin to predict how things are going to play out for Tom Brady in 2015. If you ask us — or anyone else for that matter — it’s clear Deflategate has gotten way out of hand. But this is the world we live in, and right now, the four-time Super Bowl champion is looking at a four-game suspension for his “part” in the scandal. And while numbers don’t necessarily do justice to his overall value to the New England Patriots, we’re going to use them anyway. In 2014, the Pats QB had a DYAR total of 1,176. 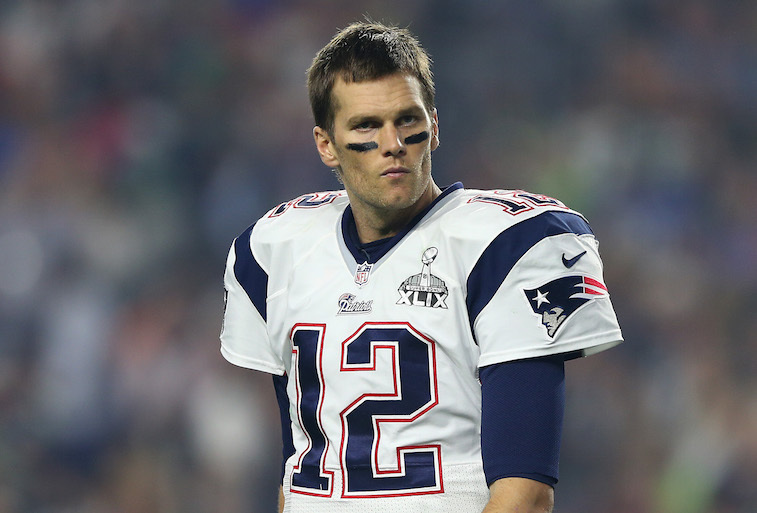 Compared to the rest of the quarterbacks in the NFL, Brady came in as the sixth most valuable player. In fact, if you want to also analyze his Defense-adjusted Value Over Average (DVOA) — which looks to measure a player’s value per play — Brady once again finished with a No. 6 ranking. Considering we’re basing our list off of how player’s compare to others at their position — and not the total DYAR — we can’t put No. 12 on the Patriots any higher than No. 3. The San Diego Chargers just rewarded quarterback Philip Rivers with a massive contract this offseason. 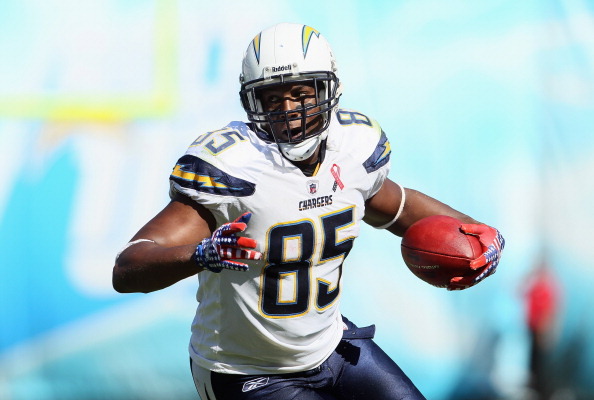 Unfortunately, all those dollars aren’t going to bring back tight end Antonio Gates back for the beginning of the season, as the eight-time Pro Bowler is suspended for the first four games of the year for performance-enhancing drugs (PEDs). As far as substantial losses go, this one is right near the top of the list. Not only did Gates have 69 receptions, 821 receiving yards, and 12 touchdowns in 2014, he was also the second highest valued tight end in the entire NFL. Aside from Rob Gronkowski’s DYAR total of 237, no one else came close to Gates’ score of 204. Take into account that he was also the second most valued tight end per play — with a DVOA of 24.1% — and you can see how much the Chargers are going to miss him in the beginning of the 2015 season. The Pittsburgh Steelers are facing a lot of hurdles heading into the 2015 season. Not having Le’Veon Bell for the first two games of the year — for violating the NFL Policy and Program for Substances of Abuse — has to be at the top of the list. Per Football Outsiders, with DYAR of 205, Bell was ranked No. 5 among all running backs with a minimum of 100 carries. Of course, his overall value cannot be limited to just his effectiveness as a runner. Bell is also a top-tier receiving back. His DYAR of 316 for receiving — based on backs who had a minimum of 25 passes thrown their way — was substantially better than anyone else at his position. Therefore, when you take into consideration both of these skill-sets, it’s clear that the suspension of No. 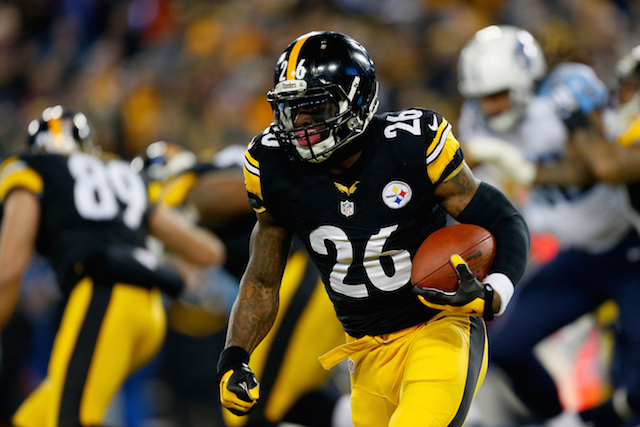 26 on the Pittsburgh Steelers has to be the biggest one of 2015. All statistics are courtesy of Football Outsiders, Pro-Football-Reference.com, Business Insider, and ProFootballTalk.